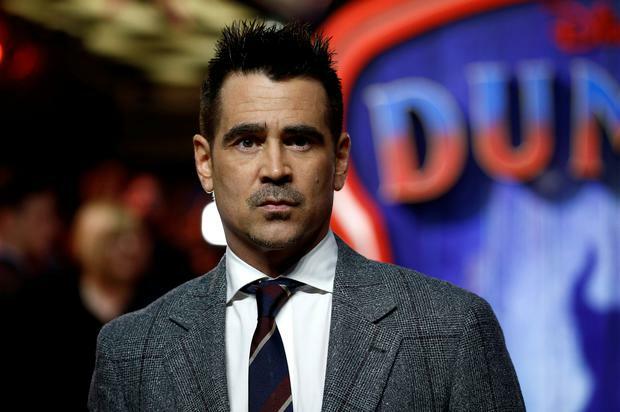 Hollywood actor Colin Farrell has said the use of screens in children's lives has become a "curse". Talking about his movie hiatus, he told The Jonathan Ross Show: "I try to keep up with them two fellas. I go to work for a rest. "They're the loves of my life but they're intense little lads. School runs, baths, lunches, maybe the odd hike, films and stuff." He added: "The advance of technology is a curse. For me as a dad, iPads are a curse. "I'm guilty as well because if I want half an hour to have a bit of breath and be left alone in the house ... it's so easy and it just becomes kind of a surrogate parent." The Irish star joked that his children were delighted to see him return to work, saying: "They were done. They packed my bags. "They were like 'OK, bye'. I said 'I'll FaceTime you'." But his children replied: "'No, no, no don't worry about it. Go and have your experience, we'll be here when you get back'." Dumbo is one of the first film projects Farrell's children have been able to watch, but the actor said: "My nine-year-old wasn't so impressed when I told him I was doing Dumbo, I thought I'd get brownie points. I just think he thought a flying elephant was uncool." Farrell also talked about his decision not to drink alcohol, saying: "I had a little look at one stage, but it was made patently obvious to me that I probably should stay off it."